There is a paper by Kenneth M. Steele challenging the study on methodological grounds. This criticism received a reply from Schellenberg which in turn was answered by Steele. 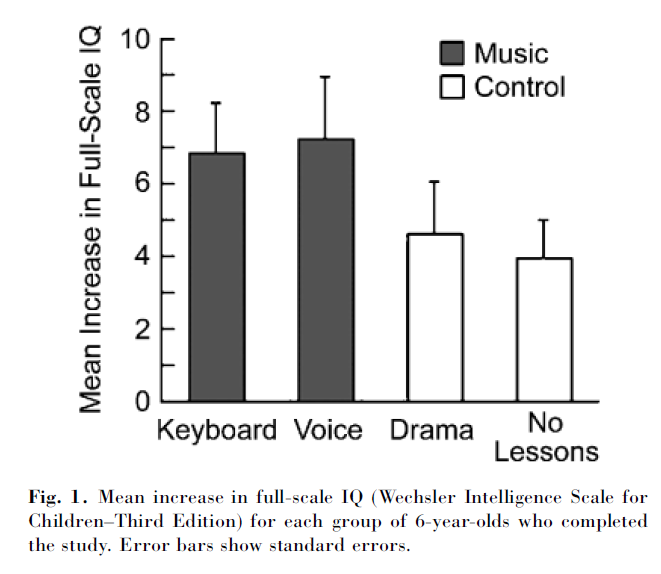 So, has this finding, i.e., that music education affects IQ, been replicated in other studies? The recent literature shows mounting evidence for beneficial effects of music on cognitive abilities. The big 'but' in the issue is how specific those effects are and whether they will hold up in longitudinal studies. Your citations provided reach back to 2006 so I thought to limit this answer using recent articles only. Overall, the beneficial effects of musical training seems quite overwhelming. It is no longer the question whether or not musical training is associated with [better] cognitive abilities, because there is growing evidence that it is. An unresolved issue however, is the nature and specificity of the link. Indeed, many primary research articles focus e.g. on auditory tasks, and not on others. I found one 2017 meta-analysis by Sala and Gobet which is probably superior methodologically to the few non-systematic reviews found by AliceD. I say "probably" because the meta-analysis includes quite a few not-directly-IQ transfers, e.g. to math. Nevertheless, they do describe IQ transfers separately... and overall Cohen's d they found for that is basically equal to Schellenberg's... 0.35. Neither of these had an active control group (unlike Schellenberg 2004). one failed replication in Australia: N.S. Rickard, C.J. Bambrick, A. Gill "Absence of widespread psychosocial and cognitive effects of school-based music instruction in 10-13-year-old students", International Journal of Music Education, 30 (2012), pp. 57-78. The latter did have active controls. There are a few other papers (mostly pre-2004) subtests of which were used in the meta-analysis in the intelligence section, but the above two were the only more-or-less full-scale replication attempts I could find. On the issue of publication bias, the meta-analysis did not find one, but this is for the whole shebang, there was no separate test for each dependent variable (like just for IQ). The results of this meta-analysis fail to support the hypothesis that music skill transfers to cognitive or academic skills in the general population of children and young adolescents. Together with previous findings in psychology and education, these results suggest a sobering conclusion: when the potential occurrence of far-transfer is tested rigorously, the results are often, if not always, disappointing. Just a few comments. The sample size in that study was quite small (n = 144) and there were four conditions. A few fundamental principles of psychology suggest that learning an instrument would not increase IQ in any meaningful way. Within a given society, IQ is heavily influence by genetics, and generally not readily attributable to individual environmental interventions. For example, almost no variance is attributed to shared family environment. Broad fundamental traits like intelligence require massive interventions to change. Simple interventions to improve IQ have rarely proved successful, although some evidence suggests that the difference between those in impoverished versus enriched adopted environments and the difference between people who did and did not miss out on a year of education might be in the ball park of 3-5 IQ units, but even there some people argue that the effects aren't there or are not lasting. The point is that even massive interventions as dramatic as fundamentally changing a child's academic environment only has small effects on IQ. For example, the Flynn effect shows that in many populations IQ has been increasing across generations. The causes of this are somewhat unknown, but we might say that for example a 3 point IQ increase over 25 years might be result of a range of fundamental changes related to nutrition, medical care, pregnancy habits, parenting principles, and educational practices. This all suggests that simple interventions like learning an instrument would not be enough to change IQ, or if there was a change, it would be tiny (e.g., like 0.5 IQ units), and certainly not in the 3+ units reported in the study. Transfer from skill acquisition is narrow. Presumably, practicing an instrument would teach a lot about how to play that instrument, and would yield other generalisable skills around pitch perception, rhythm, reading music, and so on. Not the answer you're looking for? Browse other questions tagged cognitive-psychology educational-psychology iq music cognition or ask your own question. Do “overview” sections increase learning outcome?